Museum work often conjures up the image of a lonely art historian working in a dusty library identifying artifacts and blowing the dust off of leather bound tomes. However, just as with everything else, technology has not left the museum world behind. Museums are embracing 3D technology wholeheartedly as ways of overcoming what have been some of the most difficult curatorial and didactic problems that they face. In fact, the only reason that every museum does not yet have 3D scanners, printers, and all of the accouterments generally is the result of funding questions rather than Luddite curators. There is great potential in 3D technology to augment the museum experience, for the visiting public, scholars, and staff. A recent paper by researchers, Hartmut Schwandt and Joachim Weinhold, at the Institute for Mathematics at the Technische Universitaet (TU) in Berlin discusses the unique structural combination of an academic department and examples of how that department, through their 3D lab, is working to assist Berlin area museums. The Institute of Mathematics at TU, founded in 2004, was originally conceived of as a way of advancing visualization in higher order mathematics. What makes their approach particularly unique, however, is an emphasis on interdisciplinarity that works to bring the fine arts and architecture as contributors to modern mathematical thought. The team at the Institute is made up of one professor, a mixture of full and part time scientific assistants, and more than a half a dozen teaching assistants. In 2005, the Institute secured a grant from the European Fund for Regional Development (EFRE) to purchase 3D printing and scanning and to create the facilities in which to operate the machinery. Their facilities boast plaster printers, an FDM printer, a SLS system for polyamide, both a static and a mobile stereoscopic immersive projection system, and a 3D scanner. It is not at all uncommon for museums to make replicas of their holdings, especially in the case of objects that are of great interest to study but are too fragile for frequent handling. The Egyptian Museum in Berlin has in its possession a small sculpture of Queen Tiy with a Crown of Two Feathers. Tiy was the wife of King Amenhotep III and the mother of Akhenaten – a very important woman in the history of Ancient Egypt. This gorgeous statue was created in approximately 1355 BCE and a molded copy of the head was made in the 1960s using gelatin casting techniques. However, the crown that sits atop the head of Queen Niy was not discovered to be among the museum’s collection until later and therefore has no replica. The state of the crown is such that the creation of a copy via the previously mentioned technique would almost surely damage it. In collaboration with the Egyptian Museum, staff at TU’s Institute first scanned the crown and then printed a 3D replica. The utilization of scanning and printing to create replicas means they can be reprinted without having to risk the damage to the original object that would have been incurred through molding. Just as for his mother, Queen Niy, the team was put to work on another delimma involving a bust of the Pharaoh Akhenaten, also in the Egyptian Museum. Sometimes the damage done by efforts at restoration is devastating. In the case of this bust, there had been several ‘restoration’ efforts that had resulted in a significant deterioration of the bust’s condition. The bust was first given a CT scan in order to collect data about the internal structure of the object. The Institute was then able to use that data along with data gathered from a 3D scan in order to produce a model that a conservator was able to use to plan the restorative intervention before having to touch the original sculpture. After working so successfully with the Egyptian Museum, the team has moved on to work to standardize the means by which 3D technology can be used to digitize museum holdings. In other words, rather than focusing on particular problems, they looked to understand best practices as 3D technologies become more and more integrated into everyday museum practices. As a practice run, the team is digitizing a group of 16 sculptures of Greek figures that were created by Friedrich Tieck. This sculptural group was originally created for the Tea Room at the Berlin City Castle and therefore part of the information that the 3D lab’s team is considering is the recreation of the original setting in which those statues would have been placed. These sculptures are sufficiently complex that they are revealing the problems that the team must work to address. For example, it is difficult for a structured light scanner to reach every detail in a shape that is complex. They have found that even when creating 1,000 single scans of an object, it is still impossible to capture every detail. For these areas, they are still reliant on hand crafting to create an accurate reconstruction. They are continuing to experiment with a variety of scanning and reconstruction techniques that will help them address the problems presented when working with particularly complex objects. In the process, they are also learning about the ways in which the data can be manifest in a virtual tour of the object that might be different from that which is necessary for a print. In addition, they are working with museum’s to create a series of touchable objects, especially important for places that display small, breakable objects and to broaden the accessibility of all objects for the visually impaired. Finally researchers at the 3D lab are working to create digital 3D renditions of places that were conceived of, but never built, such as Albert Speer’s vision for the city of Germania. The virtual representation of this imagined creation can be viewed by visitors to the Spanadu Citadel through an immersion experience provided through a head mounted display. The possibilities for museums are only as limited as the imagination. From scanning fossils and ancient arrow heads to recreating the visions of a maniacal dictator’s, we are only beginning to break the surface of a new era of museology in which the visitor and object can interact in ways never before possible and the curators of exhibits can finally bring their objects into the hands of the public. How do you feel about this widespread usage of 3D printing/scanning technology within Berlin’s various museums? 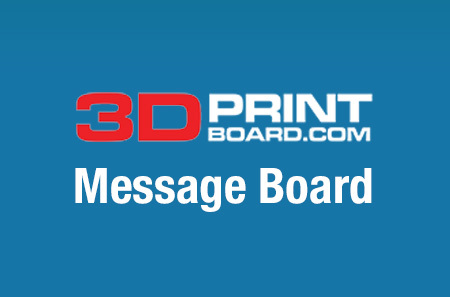 Let us know in the 3D printing and museums forum thread on 3DPB.com.